It takes a community to build trails! Ring in the New Year right building a new trail at Southside Park. 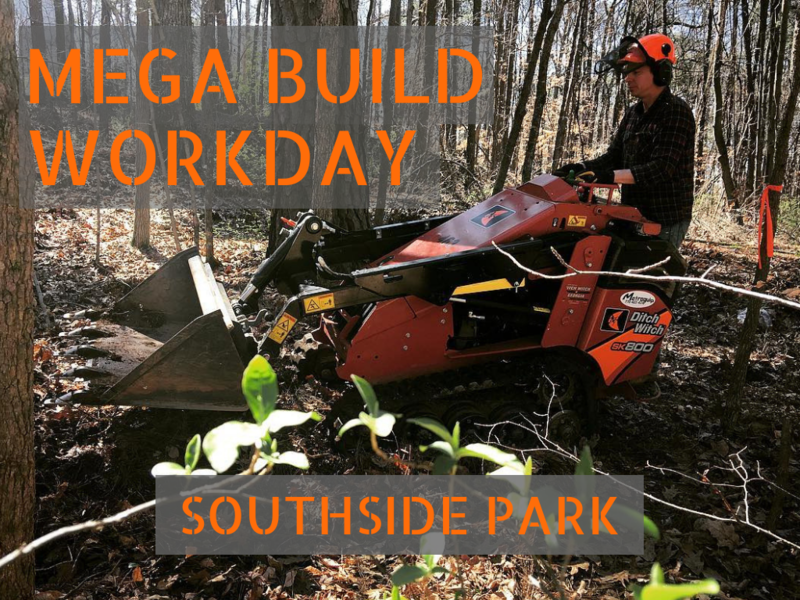 Help us out this Saturday, Jan. 5th from 11-5 doing finishing work on the new 3 mile Intermediate Trail at Southside. Wear long pants, closed toed shoes, weather appropriate colthing, bring gloves, water, and snacks. Meet up at 11 and stay as long as you want.